Bolster your jewellery collection with these must-have Guess gold plated rhodium studded 50mm hoop earrings. Pair with other studs to create a unique, personalised style, or use them as a statement piece to create a bold style. 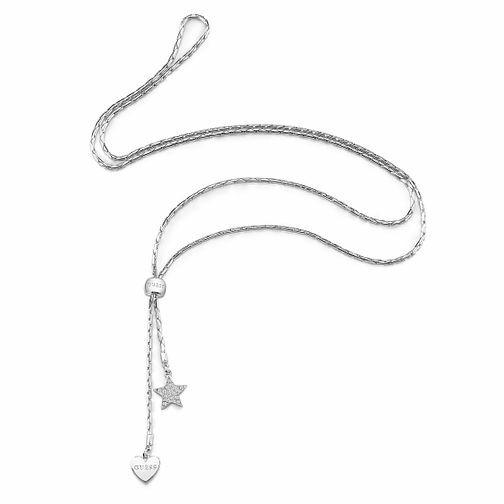 Guess Rhodium Plated Sliding Chain Necklace is rated 5.0 out of 5 by 1. Rated 5 out of 5 by Anonymous from Choker or not I love this sliding necklace as I can easily adjust the fit to suit whatever I want to wear it with.